"In this game, the market has to keep pitching, but you don't have to swing. You can stand there with the bat on your shoulder for six months until you get a fat pitch." Interesting chart from John Hussman this week showing Roger Babson warning that the U.S. stock market was overvalued the two previous years leading up to 1929 and then again at the market peak. We know now that it was overvalued in 1927, but it became more overvalued in 1928 and even more in 1929. People assumed Babson's earlier warnings were incorrect because the market became more irrational in the short term. The market could have easily have gone up in 1930 and 1931 before it met gravity. The question is; would that have made his statement in 1929 that the market was dangerous incorrect? This is similar to how I have felt talking with people about the U.S. markets over the past few years. 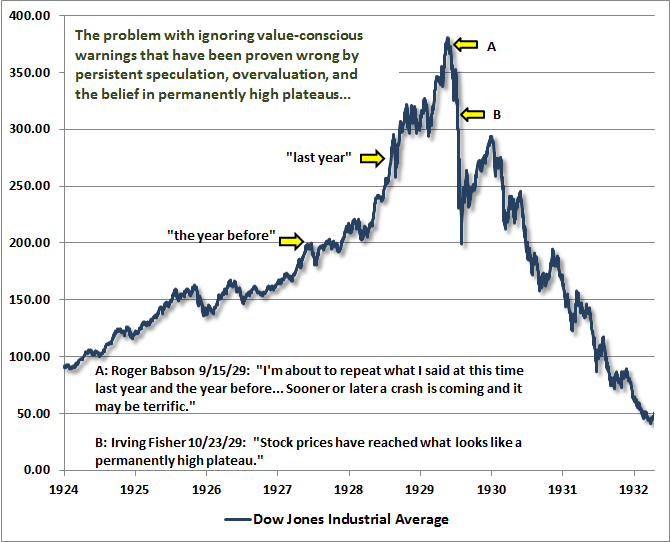 In 2012 I felt the market had run too far too fast causing valuations to become extended and dangerous. What has happened over the past two years? The market has risen relentlessly, causing valuations to become far more extended than they were in 2012. This does not mean the markets must fall now. Just as they could have continued to become more overpriced in 1929, they could easily become more overpriced in 2015, 2016, and beyond. John Maynard Keynes once said "the market can remain irrational a lot longer than you and I can remain solvent." I personally do not plan on purchasing U.S. stocks until they become inexpensive and throw investors a fat pitch, something I believe will occur again at some point in my lifetime. 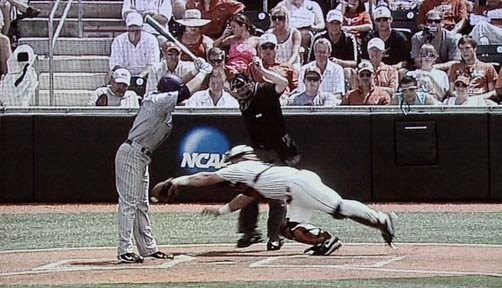 The ball today in U.S. markets is no where near the strike zone.